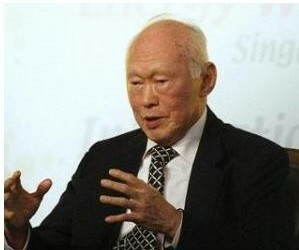 Stand Up for SINGAPORE: It's a matter of time PAP will lose power and break up. It's a matter of time PAP will lose power and break up. In indoor bowling, the objective of the game is to roll or throw a ball to knock over pins. A strike is the term used when all 10 pins are completely knocked down with the first ball. On score sheets, a strike is symbolized by an X. The trick is aiming at the pin which will knock down all the others. Is Teo Ho Pin the critter who will bring the whole house down? And let’s not forget those who’d rather let their lawyers speak for them. He goes further to postulate how it can happen. A break-up in leadership. They disagree profoundly, either for reasons of principle or personality and suddenly it breaks up. Not sure if Tan Cheng Bok’s very public disagreement (“Is it right for the TCs to give up ownership in this manner?”) counts, since he is an ex-PAP member of parliament. Truth be told, we really wish the old guy will pipe up soon. The other fellas open their mouths and shoot themselves in the foot. Not a very pretty picture, not pretty at all.